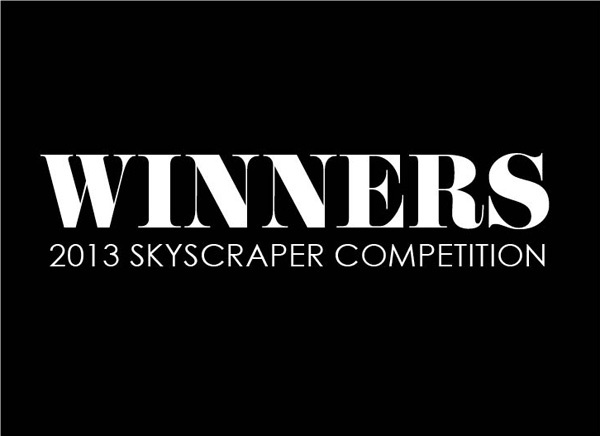 eVolo Magazine is pleased to announce the winners of the 2013 Skyscraper Competition. The award was established in 2006 to recognize outstanding ideas for vertical living. Since then, the publication has received more than 5,000 projects that envision the future of building high. These ideas, through the novel use of technology, materials, programs, aesthetics, and spatial organizations, challenge the way we understand vertical architecture and its relationship with the natural and built environments. 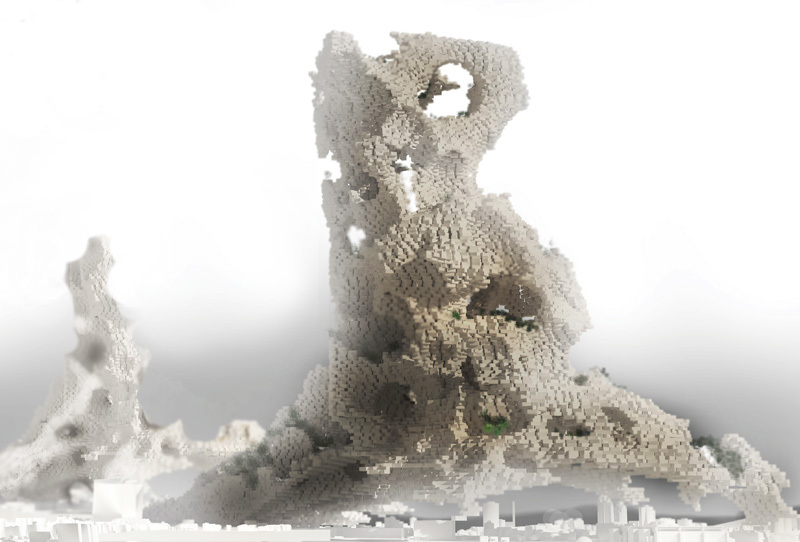 In 2013, the Jury, formed by leaders of the architecture and design fields selected 3 winners and 24 honorable mentions. 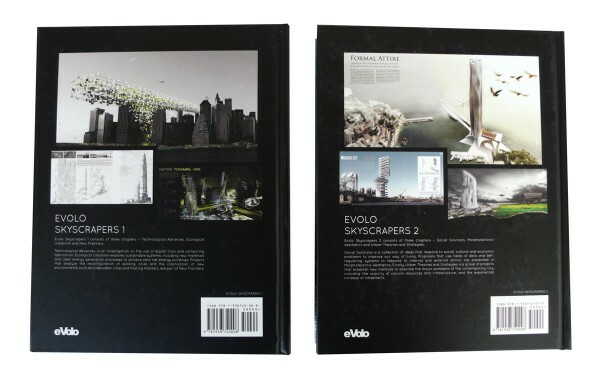 eVolo Magazine received 625 projects from all continents and 83 different countries. The winners were selected for their creativity, ingenuity, and understanding of dynamic and adaptive vertical communities. 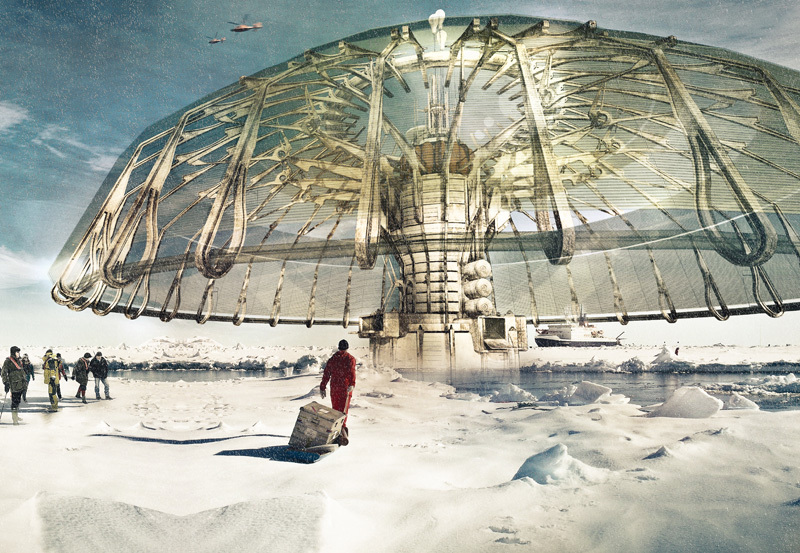 The first place was awarded to Derek Pirozzi from the United States, for his project “Polar Umbrella”. The proposal is a buoyant skyscraper that rebuilds the arctic ice caps by reducing the surface’s heat gain and freezing ocean water. In addition, the super-structure is equipped with a desalinization plant and solar powered research facilities and eco-tourist attractions. The recipients of the second place are Darius Maïkoff and Elodie Godo from France, for their “Phobia Skyscraper”. The project seeks to revitalize an abandoned industrial area of Paris, France, through an ingenious system of prefabricated housing units. Its modularity allows for a differentiation of various programs and evolution in time. 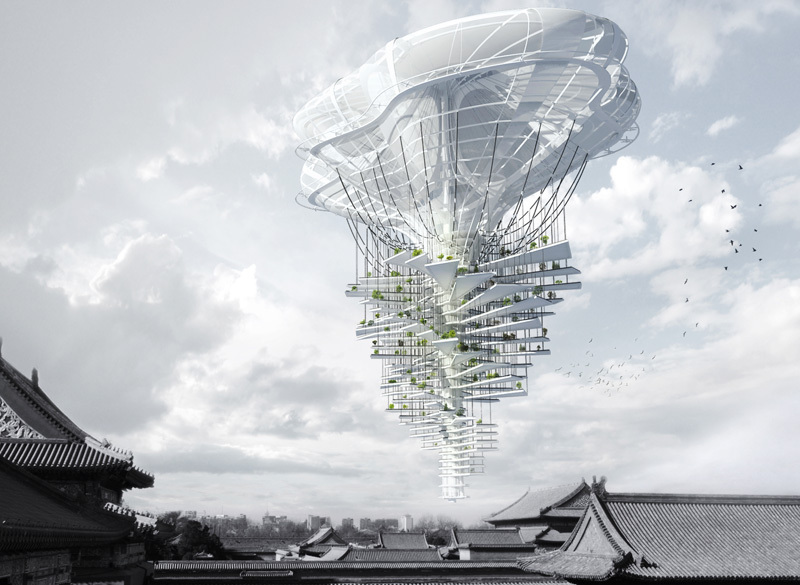 The third place was awarded to Ting Xu and Yiming Chen from China, for their project “Light Park”, a floating skyscraper that takes new development within large cities to the sky. The project allows for a continuous growth of the world’s mega-cities by providing adequate infrastructure, housing, commercial, and recreational areas. 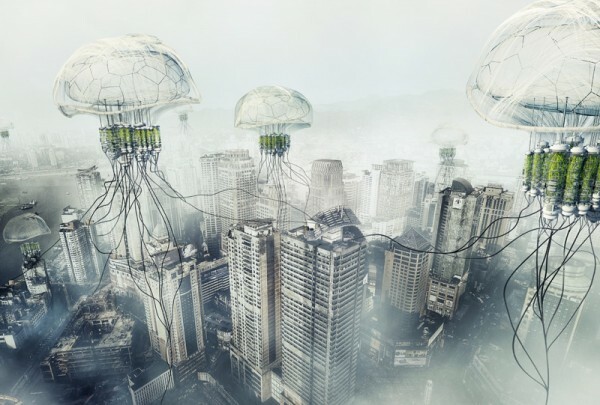 The honorable mentions include several projects that explore a sustainable urban future including a pH conditioner skyscraper that resembles a jellyfish and purifies polluted air or a volcano skyscraper that harvests geothermal energy. Some projects explore new frontiers such as a proposed network of skyscrapers in the stratosphere, a cluster of artificial islands that create the 7th continent in the Pacific Ocean, and nomad skyscrapers that terraform Mars. Other honorable mentions include morphing structures and digital explorations among many more ideas that look into the future of our natural and built environments. 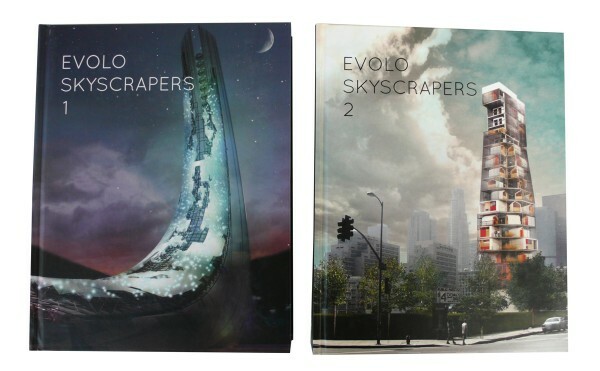 To commemorate the award, eVolo published a collector’s edition of its highly acclaimed book “eVolo Skyscrapers”. The book is a two-volume, 1300-page set with the best 300 projects received during the last years. Only 150 copies are available worldwide. During the last decades of global warming, the polar ice caps have experienced a severe rise in temperature causing the northern and southern ice shelves to become thin, fractured, and melt into the ocean. Rebuilding the arctic layers is the primary objective of this proposal which cools down the Earth’s surface by reducing heat gain in vulnerable arctic regions. The Polar Umbrella’s buoyant super-structure becomes a statement for the prevention of future depletion of our protective arctic region. Through its desalinization and power facilities, this arctic skyscraper becomes a floating metropolis equipped with NOAA (National Oceanic and Atmospheric Administration) research laboratories, renewable power stations, dormitory-style housing units, eco-tourist attractions, and ecological habitats for wildlife. A series of these structures would be strategically located in the most affected areas. The Phobia Skyscraper is a new form of modular suburban residential development for Paris, France. It is located over the “Petite Ceinture”, a former industrial site with excellent views of the city and an extensive transportation network. Two main ground slabs and an empty tower structure, constructed of recycled industrial materials, hold prefabricated units that are stacked to utilize the same plumbing system but are rotated to open to outdoor spaces. The units are grouped around outdoor common green spaces. These common areas, or “nuclei centers,” are equipped with displays that provide real-time feedback for residents on societal issues within the community, occupancy rates of the structure, and messages. It also contains water-collection equipment and solar power panels. The rapid increase of population within the major cities around the world has led to poor development and serious urban design problems, including the lack of infrastructure, housing, and recreational areas. In Beijing, a large portion of the historic center has been demolished. 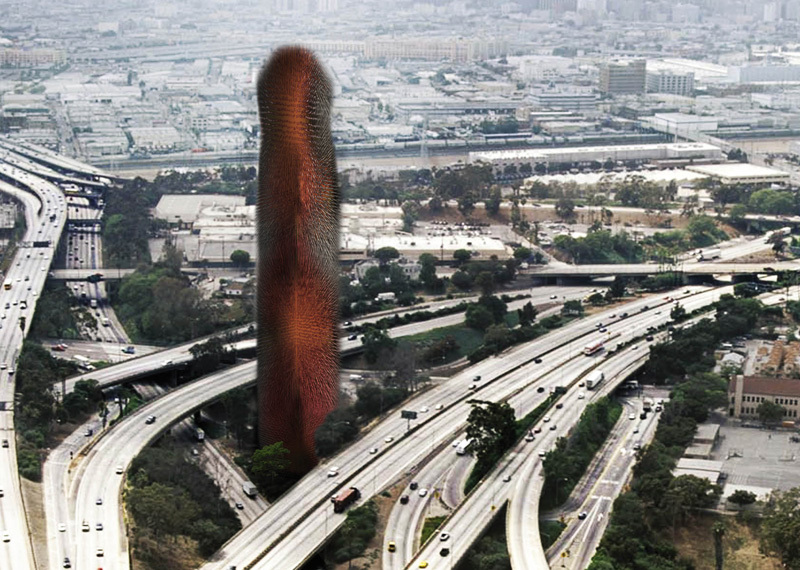 One way to make scarce green and recreation space available to residents of this crowded city is a skyscraper that floats above the land, taking new development to the sky. The Light Park stays afloat thanks to a large, mushroom cap-like helium-filled balloon at its top, and solar-powered propellers directly below. Programmatic platforms that host parks, sports fields, green houses, restaurants, and other uses are suspended from the top of the structure by reinforced steel cables; the platforms fan in different directions around the spherical vessel to balance its weight. These slabs are also staggered to allow for maximum exposure to sunlight on each level. 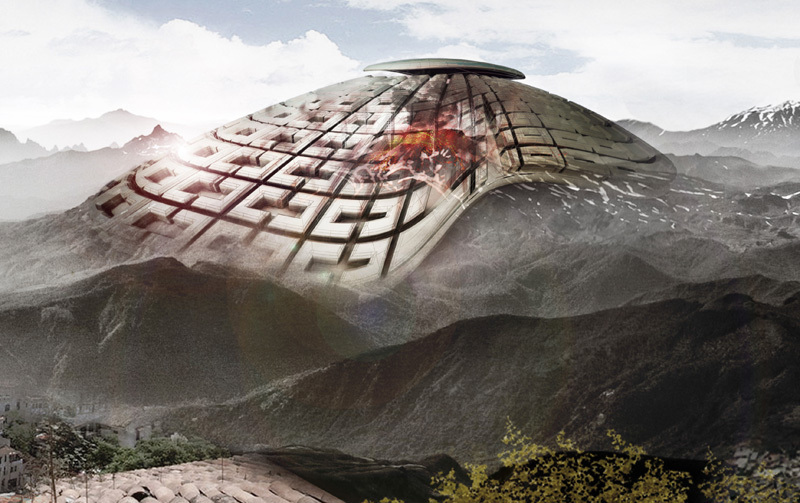 Translucent solar panels cover the top of the vessel to power the uses below, and water collectors, also located at the top, direct precipitation towards filters that send clean water throughout the structure. Energy is one of the major concerns of our current society. Today sustainable architecture seeks to minimize the negative environmental impact of buildings by enhancing efficiency and moderation in the use of materials. Noise is part of our urban environment and our everyday life and it is one of the most prevalent pollution form in cities, but it is also an important source of energy not valued yet. The soundscraper takes advantage of city noise pollution by capturing airborne sound and converting it into usable energy. One of the most abundant energy sources is ambient motion. Vibrations can provide plentiful energy, and can be transferred through many media, making this form of kinetic energy very useful. As technological innovative and higher latest skyscrapers can be, they still need to rely on the support to the ground. So a higher heights usually means more unstableness as well as weaker capacity to resist disasters. The project proposes a mega hex grid that evolves around the earth circumference at a stratosphere heigh, the principle that support this hypothesis is that it seem to be that in a building the larger the span is, the scale and the unstableness will proportionally increase. But if the span is large enough within the scale of the earth, the unstableness brought by the size decreases inversely. 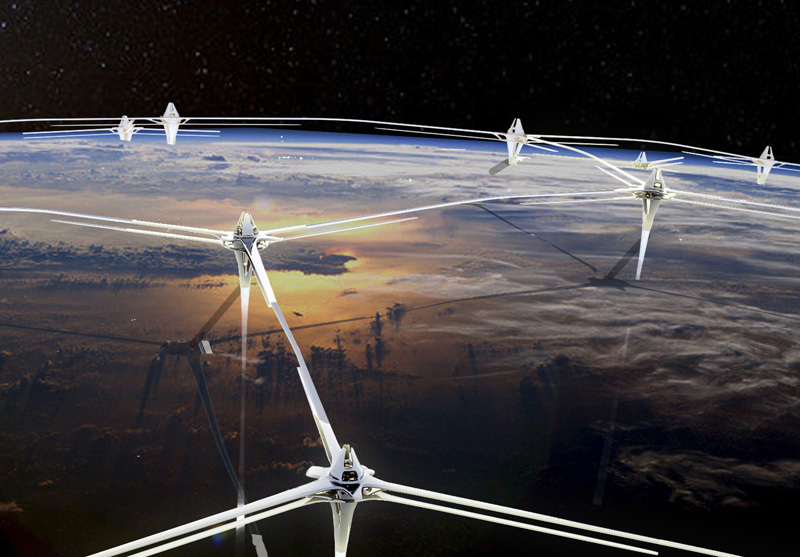 In this case the network of buildings and bridges connected to each other, covering the entire circumference of the earth, will no longer need structural ground support and can be suspended in the air by the effect of the earth gravity. The elevated bridges and buildings that relate the grid can reach any height with out worrying about overturning, earth-quakes, floods and any other natural disasters. The outbreak of the Industrial Revolution in Europe, since 1750, unavoidably brought severe environmental pollution. The most explicit consequence is the Acid Deposition caused by waste of large-scale industrial production. Produced by the fossil fuel used in abundance, as well as the heavy traffic and industrial production, the SO2&NOx drives the PH value of atmosphere under 5.6. Gradually precipitating to the surface of the earth, these acidic materials have caused great harm to plant, architecture and human beings. The project aim to use a gentle way to manage Acid Deposition and eventually turn pollutants into available resources (reclaimed water & chemical fertilizer) for the region of Chongqing. The global increase in population, its concentration in cities, and the development of emerging countries lead to a big increase in energy need. The Earth has undergone dramatic climatic changes, which have been linked, by a large consensus, to greenhouse gases (GHG). The concentration of GHG in the atmosphere directly affects the global temperature, with potentially global, dramatic consequences. Without any doubt, it is indispensable to define an objective of maximum emissions, in order to limit problems in the future in the Earth. From the suffocation of Pompeii to the air traffic gridlock suffered in Iceland in 2010, the tephra that is expelled during volcanic eruptions has long posed grave threats to civilization. 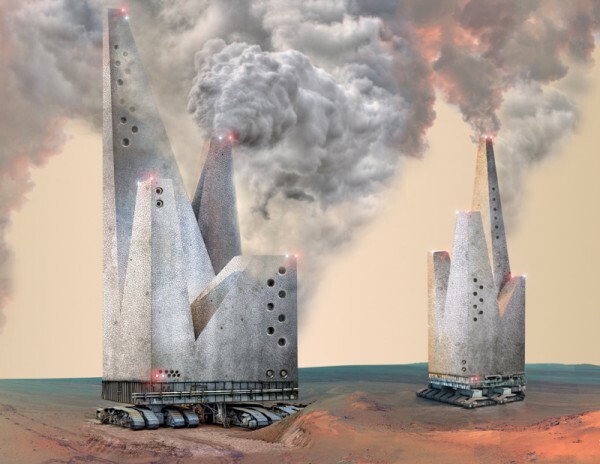 Since volcanic eruptions cannot be controlled, the designers of the VolcanElectric Mask I propose constructing an industrial structure over a volcano that can collect tephra during an eruption, keeping it out of the skies and away from cities and villages below, and also harness the power from the volcano’s heat in calm periods to provide clean electric power to surrounding areas. For the prototype, the designers imagine locating the structure on the Popocatepetl Volcano, which is 70 km from Mexico City, is one of the ten most active volcanoes in the developed world and has 500,000 people living within 10 to 30 km from its crater. The VolcanElectric Mask is actually a multi-layered skin that covers the volcano, perched above its surface and its lava crater. The skin is comprised of the adjoining tops of tentacles, which are shaped like screws, that are relatively flat on top – this is what is visible when one looks at the volcano – but are long and sharpen to a point at the bottom. This long, sharp bottom allows each tentacle to burrow into the volcano itself to monitor its temperature, helping to predict eruptions, and also allows each one to capture carbon dioxide that is used to create and store dry ice.